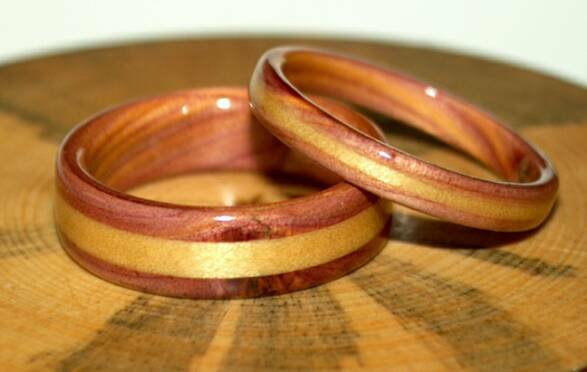 TOUCH WOOD RINGS - Wear the warmth of wood. These wooden wedding rings are size 8 and 7.5. They are 6mm and 3mm wide rings. The 3mm wide ring has a 1mm band of sitka spruce while the 6mm wide ring has a 2mm band of sitka spruce. by British Columbia artist and craftsman David Finch. Touch Wood Rings. From Canada.